Welcome to the Supreme Leadership podcast where we interview CEOs of companies who have been successful for almost a quarter of a century. Today I’m excited because we’re taking to Adam Phillips, president of American Business Systems. Adam attributes much of his success to persistence and consistency, which he learned from his father who was one of his early mentors. In this episode we go deep into the lessons Adam has learned in his entrepreneurial life, so that your business too can thrive for 25 years and counting. 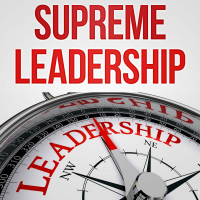 If you’re a leader with 25 years in business and would like to be featured on the show, email me at alinka@authorremake.com and put “Supreme Leadership Podcast” in the subject line. If you’re a leader without a book, discover how you can quickly and painlessly leave your legacy. Download your free copy of Bestseller Creation Secrets for Leaders at http://www.leaderspress.com/ now! SL42: John Aronson, AATA International, Inc.
SL21: Peter Preovolos, PenChecks, Inc.